Please do visit our Schedule/Sign-up for the latest schedule of events. Many events are facilitated by Sally and Chuck. Guest facilitators and teachers are very welcome to plan and hold events in the space. Please Contact Us if you would like to discuss an event you would like to hold. Rituals, ceremonies and spiritual events are offered at Cascadia House. These events are about getting in touch with the sacred and the deep gift that is our inner hopes, dreams, and desires. These are also social events. Often planned and led by Sally and steeped in Earth-based Pagan traditions, the rituals are warm, meaningful and heart opening. 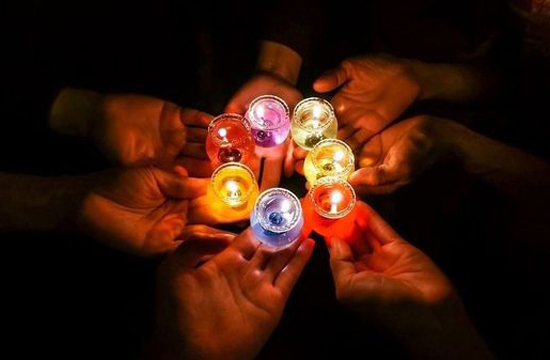 Guest facilitators are welcomed to contact Sally about holding rituals. Cascadia House started off the New Year with an afternoon spent in community creating deeply meaningful and personal candles to envision hopes for the upcoming year. 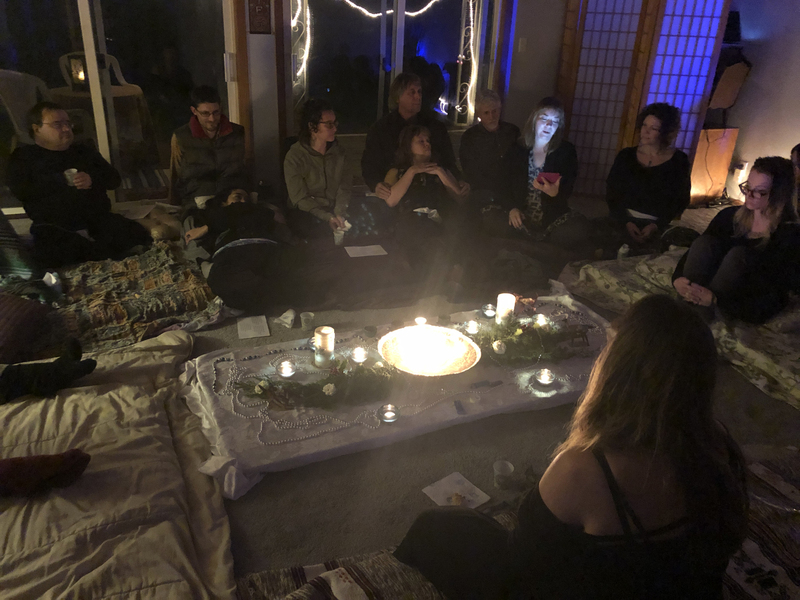 Pictured here is the 2018 Winter Solstice Ritual and Social Gathering that was held in late December. We released that which no longer serves us, focused on what we are grateful for in the present, and visualized our best 2019.